Let the light shine in through beautiful wood framed stained glass. 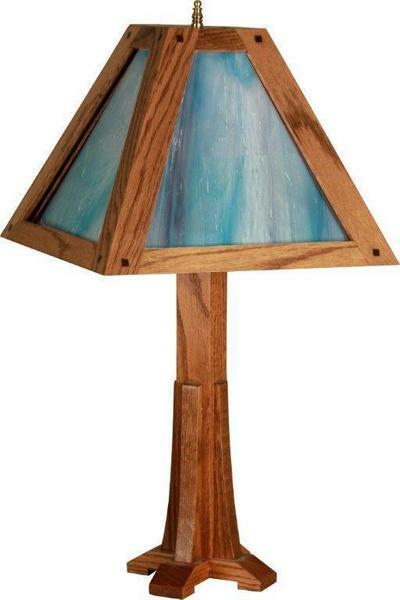 Available to be custom-made from four different stained glass colors, our Amish Mission Stained Glass Lamp features a solid wood base with a post bracket detail. It can also be made from your choice of brown maple, red oak, cherry, and quarter sawn white oak. Shown in red oak with OCS-111 and 6034-83CCE glass.